Niagara Falls is one of the world’s greatest wonders. For years it has drawn millions upon millions of sightseers to its majestic peaks, becoming a beacon for many people all around the world. When you invest in Niagara homes, there are so many more things that are now available to you in and around the local area. So when you are looking for some amazing attractions around your new Niagara home, here are some of the best options to see and partake in for you ad the whole family. The Butterfly Conservatory is a breathtaking attraction. Enter into a jungle-like setting, surrounded by a rainforest like environment. All of a sudden, you are enveloped by over 2,000 butterflies with limitless swirls of colors setting your sense on fire. See the butterflies in their own environment, surrounded by thick, luscious foliage and nature. Only ten minutes north of the falls, the conservatory offers a self-guided tour through a world of butterflies that truly implores you to experience it. Spread your wings and fly to this whole new world today. Ferris wheels are awesome attractions that can be fun for your family or an amazing spot for a date. However, the Niagara SkyWheel takes this concept up to an entirely new level. This awesome ride that lets you experience the falls in a way you never thought possible. The top of the wheel gives you an impressive view of the entirety of the Falls. With rates running as low as $10 to start, there is no better option for getting the full experience of owning one of the many Niagara homes. When the herds of tourists come to Niagara Falls, they tend to take it all in from a nearby cliff. However, there is a way for you to get even closer to the beauty and majesty of the Falls. Maid of the Mist offers its visitors a boat ride that gets you up close and personal with the falls and is truly a once in a lifetime experience. Since 1846, this attraction has been bringing people face to face with the massive falls and really offers an experience that you cannot get anywhere else. Make sure you bring a cozy and snug poncho. Fallview Casino Resort is Niagara Falls’ premier casino and hotel attraction. When the sun goes down and the nightlife heats up, this is the place to be. The resort comes equipped with over 200,000 square feet of gaming floors, world-class hotel services and fine dining that is every bit luxurious as the Falls themselves. 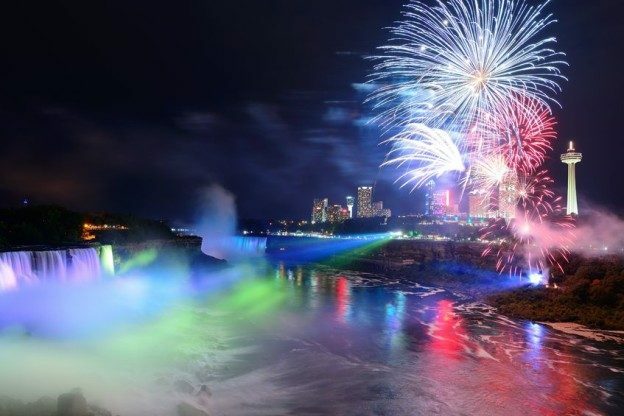 When you are visiting the Falls, you have to book your stay at Fallview Casino Resort, all near the local Niagara homes. Of course, Niagara Falls is full of other fun attractions for the entire family. The best way to experience it all is to buy one of the local Niagara homes. For more information, visit our buyers’ page or contact us today! This entry was posted in Blog, Uncategorized on November 13, 2015 by Kevin Stokes.